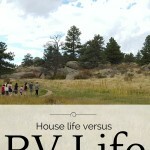 One of the greatest challenges of transitioning into an RV from a house is the task of minimizing stuff. We had accumulated 15 years of stuff, plus the dozen of boxes I brought with me from my childhood…whoopsy! It was an overwhelming task to decide what we packed into the RV, gave away, sold, or which items we would pay to keep in a storage unit. In sorting my material possessions I realized I had bought into the American way of gathering more and more stuff. 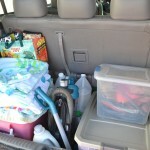 It seemed the larger my abode, the more space there was to fill and an increase in motivation to fill it! So how did I do it? How did I take 15 years of clutter and downsize into 300 square feet of living space and a 5×10 storage unit (I did start with a 10×20)? I had to define what stuff meant in my life, what its purpose was for my family. 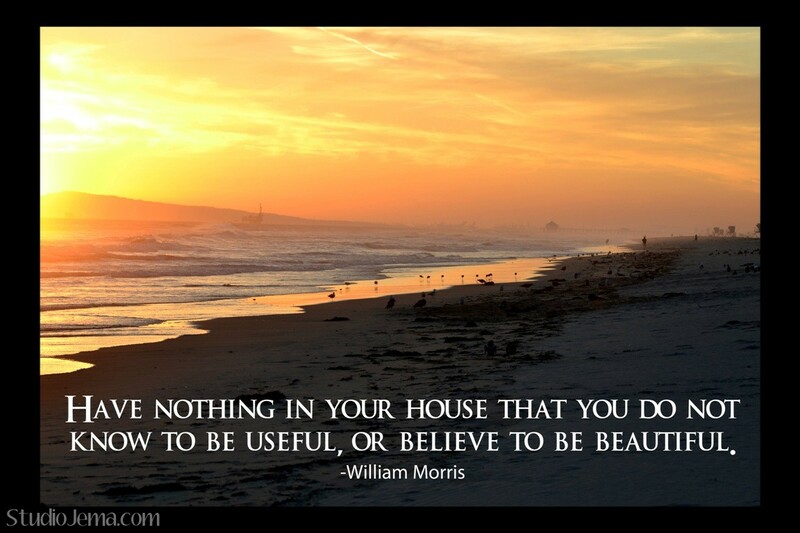 What I decided was to keep material possessions that were needed in my daily life and/or brought me loving energy. I tackled my home room by room so I could keep my distractible self on course and not get lost in the overwhelming jungle. This philosophy originated after I found myself in the crawl space reading children’s books when I was supposed to be sorting my bedroom closet. I also found myself having snack breaks after wandering into the kitchen on errands between rooms. I had to reign myself in. I found it effective to pick a room and a specific location in that room. I started in the master bedroom and began with my tall dresser and its top drawer (and further motivation may have included chocolate treats for completion). Four piles kept my sorting organized and doable – Give, Keep, Throw, and Store. I assigned specific rooms in my home to relocate items I sorted. For example, the basement bedroom was the place for the items I wanted to store. In defining the piles, I was able to keep (mostly) sane while living in a tornado. Your intuition wants to part with the item. It doesn’t give you good energy. You have it in your home only because it is expensive. It connects you to a loving memory. You would buy it again if you went out shopping. The item is broken, ugly, or worn. It provokes an unpleasant memory. It is a mystery object still waiting to be identified after a month. It is now identified as garbage. *If you get stuck deciding on what to do with an item, sleep on your decision and then trust your instict. I gathered a list of the big items I wanted to sell or give away. I also became open to possibilities that came my way. For instance, I heard about a young girl from our piano teacher who for years wanted to learn to play the piano but could not afford to purchase one. Instead of selling the piano on Craigslist, I decided it would be more enriching to give my piano to this young family. People who needed the items. For instance, we donated furniture to family members who needed couches, TVs, dishes. People who found the items meaningful. I passed on my grandmother’s china to my older girl cousins, and antiques of the family to siblings. Organizations helping our community. A lot of our stuff went to a newly opened Montessori School. They were having a garage sale where the proceeds provided educational materials for their students. The library. We dropped off our used books for their shelves and book sales. Word of mouth to friends and family. Each child has a large storage container; the kids were able to keep whatever items they wanted as long as their storage bin lid could shut. Seven years of papers and taxes in a box. Keepsake items from our marriage, our dating (love notes), and our childhoods. Other memorabilia I can’t remember so it must not be so important? I sense another purge in the future. Is it useful and/or beautiful? Another viewpoint from Technomadia on purging your stuff and traveling full time. Now, how to keep the stuff from coming in is a whole other challenge. 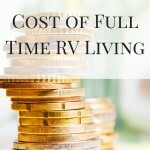 This whole process is honestly one thing I’m really excited for when transitioning into RV living. But you’re right – it doesn’t need to wait until then. I can start the process now! !